IUPUI Board of Advisors member Lacy Johnson is a respected partner at Ice Miller, LLP a full-service law firm in downtown Indianapolis. 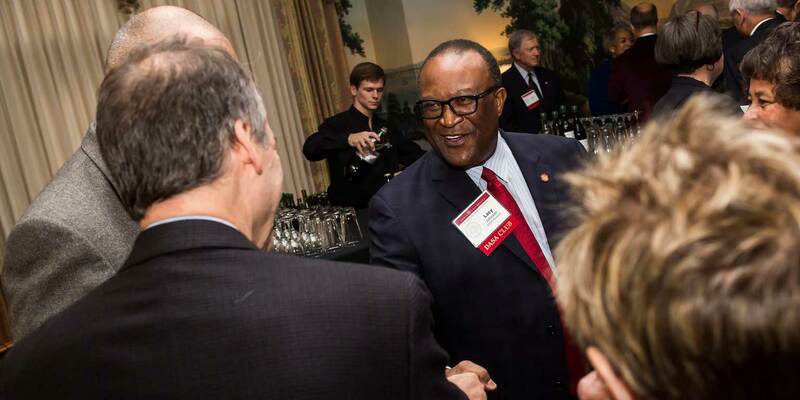 A lifelong Hoosier, Johnson received his Bachelor of Arts degree in political science and industrial management from Purdue University and is a 1981 graduate of the Robert H. McKinney School of Law at IUPUI. At Ice Miller, he focuses his practice on public affairs and lobbying, sports and entertainment among other areas. Outside of the office, Johnson is a well-known ambassador for the city of Indianapolis. As past president of the Indianapolis Airport Authority, he was instrumental in the development of the new $1.3 billion Indianapolis International Airport. He serves on the board of directors for the Madam Walker Legacy Center and the American Pianists Association, and is a former board member of Downtown Indy, Inc.
As an active civil and community servant, Johnson contributes his time and talent to a lengthy list of organizations, including the Robert H. McKinney School of Law Board of Visitors, the Indiana University Foundation, Eskenazi Health, the Congressional Black Caucus Political Education and Leadership Institute, and the American Red Cross National Diversity Advisory Council to name just a few. In all of this, Johnson exemplifies a spirit of service that far surpasses everyday expectations, especially in its breadth, depth and reach. "It's my way of putting back some of what I've been given. I'm living the American dream. I've been touched by some fantastic people. What you can do with that is pass it on," Johnson said. 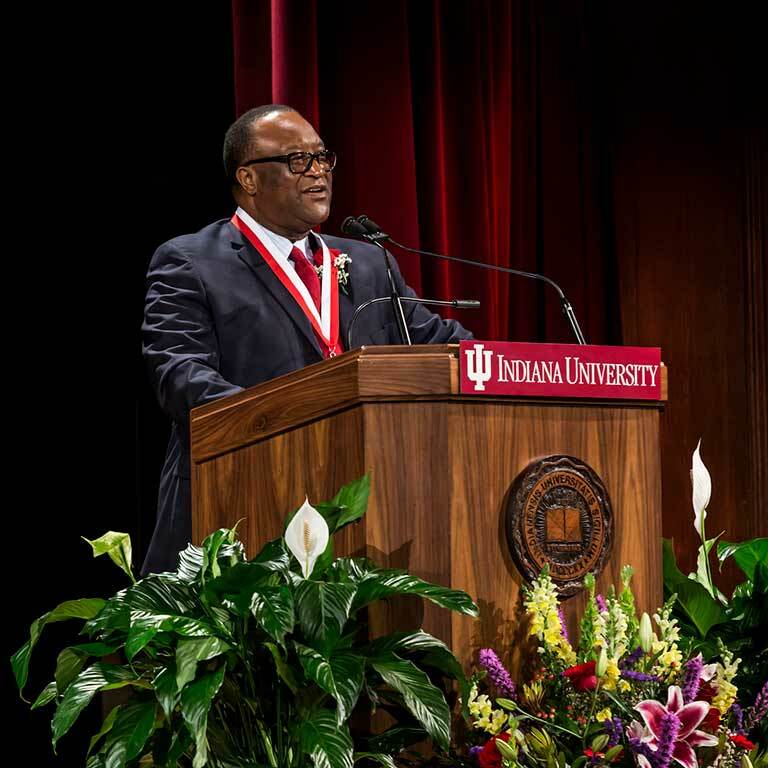 In recognition of all that he has achieved, Johnson received IU's highest alumni honor, the Distinguished Alumni Service Award, as well as a of a Sagamore of the Wabash Award from the state of Indiana. 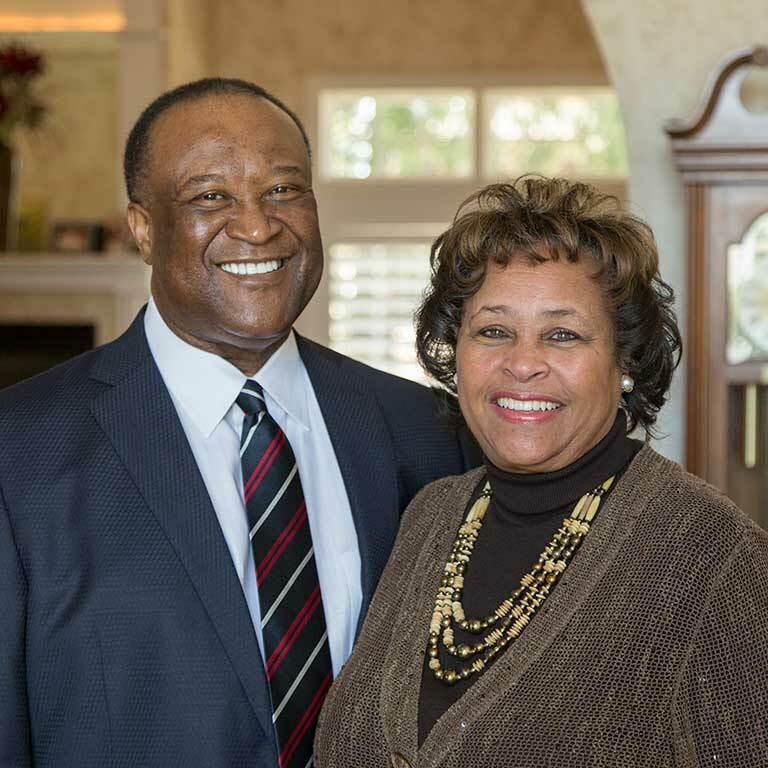 In August, Johnson and his wife Patricia demonstrated their deeply rooted and focused commitment to diversity, and particularly to students of color, with a $1.5 million gift to IU's Office of the Vice President for Diversity, Equity and Multicultural Affairs to establish the Johnson Chair for Diversity and Leadership, further strengthening our collective commitment to inclusion. The gift coincides with the establishment of the Black Philanthropy Circle, of which Lacy Johnson is a founding member. 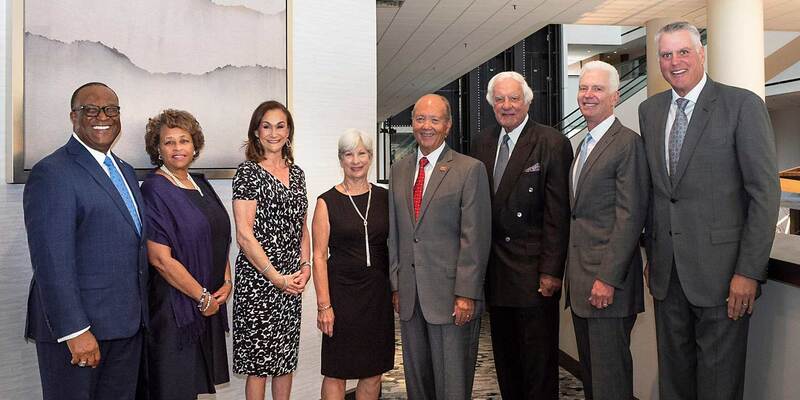 In June, Lacy and Patricia Johnson were honored with the IU Foundation's 2018 Partners in Philanthropy Cornerstone Award for their partnership, volunteerism, and generosity to philanthropic initiatives. The Johnsons have also supported underrepresented populations through Johnson Family Scholars in the Lilly School of Philanthropy and the Lacy M. Johnson Scholarship in the McKinney School of Law.